Spring is in the air again! Finally! So– for all of you who love the sun– here’s a cherry blossom! This beauty was drawn by our very own Tina Brunner for an animated window display for Van Cleef and Arpels! OOPS! Just like Britney Spears, we did it again: Director Ian Samuel’s CATERWAUL— which we provided both location sound AND sound design for– just won not one, but TWO film festivals! Big shout outs to actresses LESLEY CHOY and LAURIE STRICKLAND for helping us create some of the haunting sounds for Hattie (pictured above). OH SNAP! 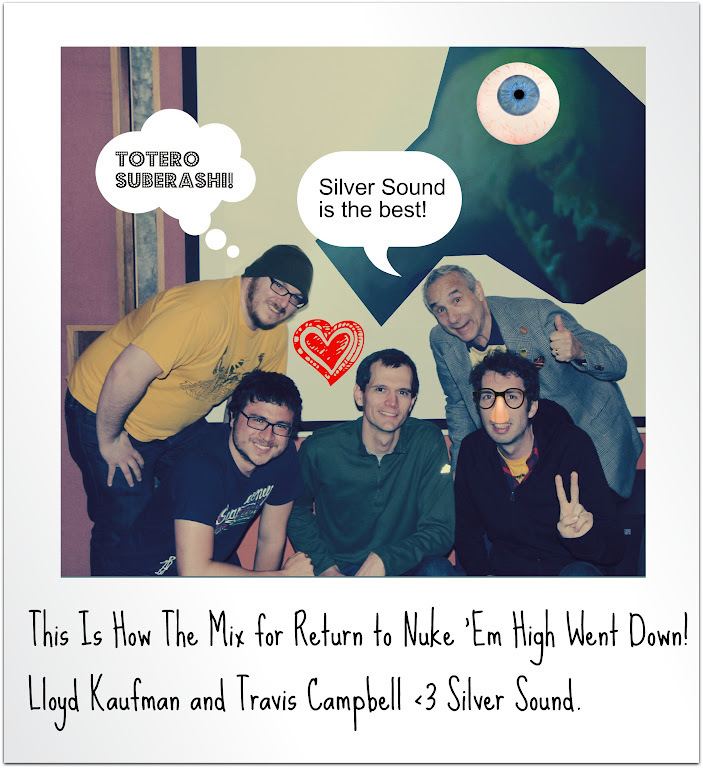 Silver Sound the Troma Team mix it up on the Return To Nuke ‘Em High! QUACK. Congrats to Avery Rimer, whose narrative short, HALFWAY SOMEWHERE ELSE, was accepted into this year’s CANNES FILM FESTIVAL! Silver Sounder Matt Betlej was the Production Sound Mixer; and Ted, Cory, and Bryan handled the Post Production. Check out the film’s website for more info and to see the trailer!